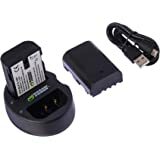 Buy this product Renewed and save $448.99. 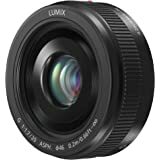 LUMIX G LEICA DG SUMMILUX 12mm / F1.4 ASPH. 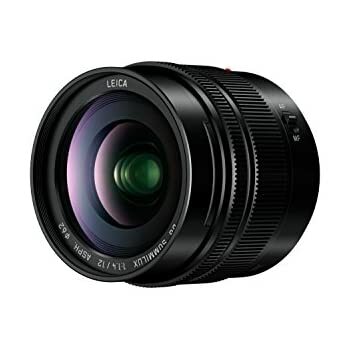 One of the widest single focal length lenses in our LEICA Lens series, you'll appreciate how effortlessly it captures large groups and expansive natural settings in dynamic detail, in both photos and 4K video where smooth, silent and precise focusing is essential. Opt for a Leica DG lens and get the ultimate in optical quality and performance. The sophisticated design means brilliant clarity and distortions prevented to enable precise, sharp picture rendering. The H-X012 not only performs smooth aperture changes, its silent design also enhances audio capture. What’s more, stunning AF performance records 4K video, where precise focusing is essential. 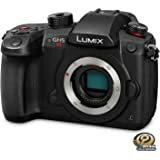 Without a doubt this lens with the Panasonic G9 produces some of the best photos out of the camera without a flash. I rented it several times before I bought it. 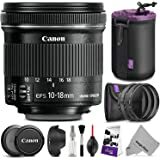 I shoot video of bands in dark, small clubs, and this lens is great for that. 4.0 out of 5 starsGREAT GLASS, BUT FALLS SHORT OF TRUE LEICA MAGIC. 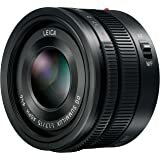 This is yet another great Leica lens from Panasonic/Leicas cooperation. It performs great and is capable of some truly great images. It is a special lens, however, I do not believe it is as special as the 42.5mm Nocticron. Where the Nocticron maintains all the magic of true Leica glass, this lens falls a little short... Perhaps 90% of what I would have wanted. It's still a must have on the M43 platform. 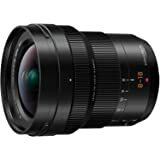 It would have been nice had Panasonic chosen to include OIS in this lens. At 24mm equivalent it would not have been out of the ordinary to have added this feature. 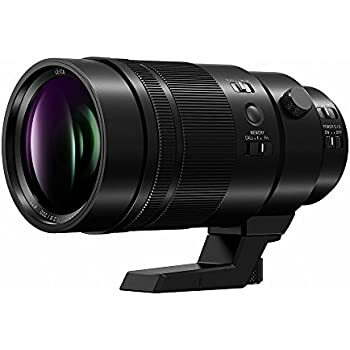 I purchase this lens through Amazon, and it was fulfilled through Amazon. However, the lens that I received was already opened and items were packed differently than a new lens. Since I had ordered an new item, I promptly returned it. I do plan to get a replacement, but at this time they are backordered, so I will be waiting. So is it a must have? It's a nice to have, and certainly a top pick if you are very critical and have the money to spare. 5.0 out of 5 starsExcellent Design and impecable quality. I love this lens. Crystal clear and very responsive. 5.0 out of 5 starsPremium quality; premium price. 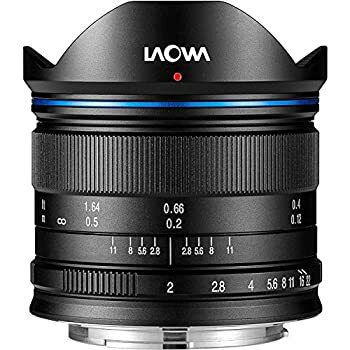 This is an excellent lens, premium quality and premium price. There are virtually no flaws in the construction, design or the resulting image quality. 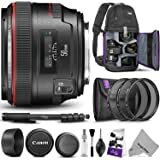 Therefore, this review will focus on what the lens is for and what the competition is. 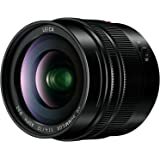 Rest assured that should you purchase this lens, you will have no regrets. 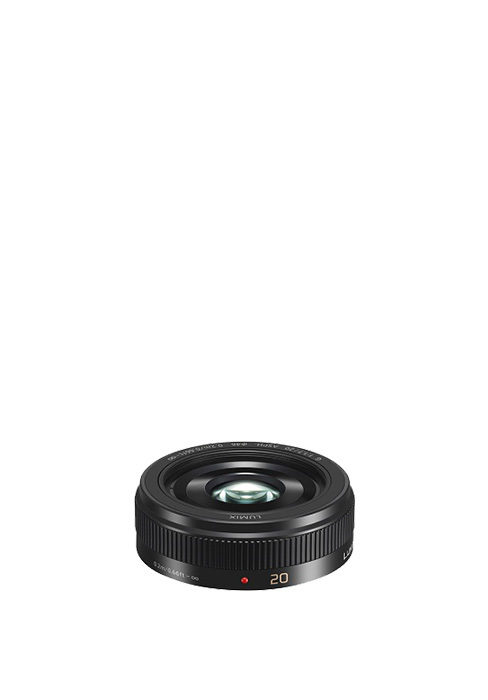 First of all, this is a lens for the micro four thirds system. There are number of excellent cameras for this system, primarily from Olympus and Panasonic, but there are also some excellent, high-end video cameras that use this mount. Secondly, this lens is a wide prime. 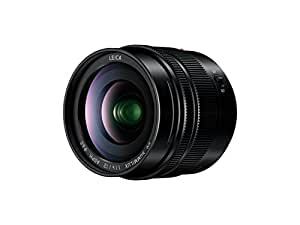 In buying a lens, a professional photographer or videographer is seeking to a tiny, tiny bit more image quality (IQ) compared to a professional grade zoom lens. In recent years, the difference between primes and zooms has become smaller and smaller, and a zoom lens is very handy. 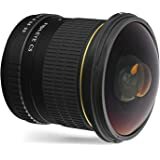 A prime lens such as this will let more light in, and allow for a wider range of depth of field, although, in this case, almost everything you shoot with this lens will be in focus. 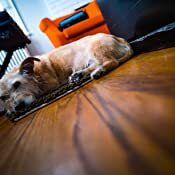 12mm is considered a very wide, wide-angle lens in photography. 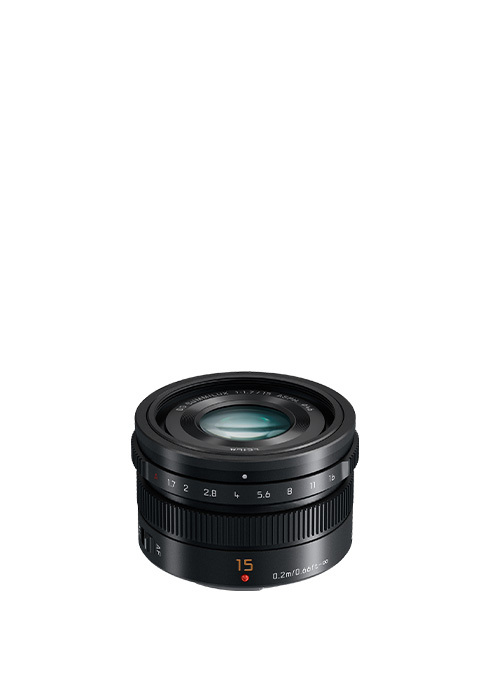 However, the crop factor renders this lens as a 24mm equivalent. On older m4/3 cameras, such as the GH2, you will get an even wider image. For most of us, 12mm is wide enough for landscapes and situations where you don't have the room to get the shot. This lens will give you great landscapes, with edge to edge sharpness. Wide open, it is slightly soft in the corners, but 12mm is a difficult lens to build and this level of sharpness is no small feat. At F4, it is sharp edge to edge. Color and microcontrast, owing to the coatings of the lenses and the overall design, is excellent. Although the product literature emphasizes it’s resistance to flare, many lenses have this feature. 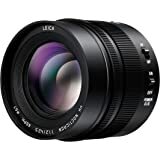 Similarly, product literature emphasizes 4K video—this lens has no particular advantages for 4K video other than its excellent image quality (and you will need a 4K camera, obviously). 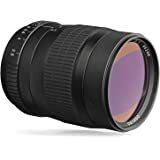 However, in terms of video and landscape photography, it is worth noting that this lens has a band of sharpness that goes edge to edge wide open. That is, the minimal soft spots occur at the deep corners of the image, not the center edges. Thus, in a group image or, for example, a concert or event, the full width of the center is very sharp wide open. Similarly, a large building will appear sharp, and even if the edge of the sky or the edge of the foreground is slightly less sharp, you won’t see it. 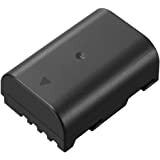 Since there is no image stabilization built in, you will not hear the low-level noise of the stabilizers if you are using an onboard microphone. Construction: solid, with a metal mount and some weather sealing: premium construction with a professional feel. The size and weight are above medium—it isn't a paperweight like some metal lenses, but neither is it light. 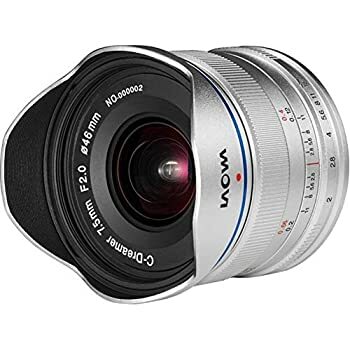 If you lay the lens down side by side with the Olympus 12mm you will notice that it has the barrel shape of a compact zoom, as opposed to the tapered shape or pancake shape, and at 12 ounces, it’s a bit heavier than a typical m4/3 compact zoom, but lighter than many 35mm lenses. Thankfully, a hood is included. 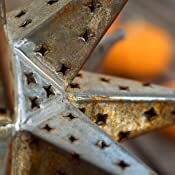 Bokeh: photographers loosely use this term to describe the character of the out of focus areas of an image. Because this lens is hyperfocal—that is, almost everything appears in focus, bokeh is not so much of an issue. The rounded, nine-blade iris of the lens in theory gives reasonably good bokeh; in practice you will only notice this if you shoot a close up with the lens wide open. The bokeh leans towards busy, not towards smooth, but if you are shooting a landscape, this is not an issue. The bokeh, while fine, is nothing special. 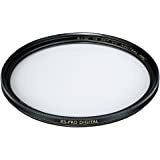 Portraits: you really won’t want to us this lens for portraits, but it is great for group shots. 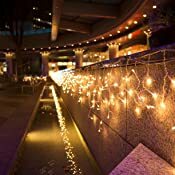 In addition, you can get a good group shot indoors at a party with a slow shutter speed even without built-in image stabilization owing to the hyperfocal qualities of the lens. With a camera with IS built in, even better, and the fast glass will allow you to shoot at a low F-stop with decent coverage of a group of people. 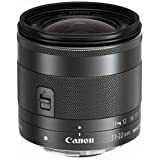 Given that the lens has very few flaws, why should you buy this lens, and do you really need it? After all, it’s expensive. 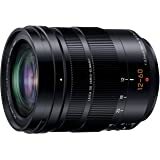 Panasonic clearly studied the Olympus 12mm and determined to make a lens that equaled or exceeded this lens. And, to a degree, they succeeded: the Olympus is not as sharp at F2, and the Panasonic is faster still with a maximum aperture of F1.4. However, at F4-F5.6, there is no difference in image quality, and, outdoors, you won’t be shooting wide open. Another difference is the size and weight. The Panasonic is nicely compact, but the Olympus is smaller and lighter. If you travel with a ton of gear as I do, smaller and lighter is better. 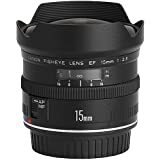 Lastly, it is worth noting that professional zoom lenses are so sharp you may want to spend your money on, for example, the Olympus 12-40 F2.8. You won't see a big difference in the sharpness at 12mm, but you will be limited to F2.8 (not an issue for landscapes). 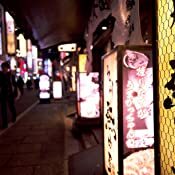 As a travel lens, if you are in front of a large building or cathedral, you will have to step back a considerable distance to be able to frame your shot, and this is not always possible (think, streets of Paris), in such a case you would need one of the wider zoom lenses. However, 12mm is great lens size to have, and the Panasonic 12mm is a great lens. I've only just started using this lens but so far it has been a joy to use on my Panny G85. The autofocus performance is incredible, with no hunting and great accuracy. The resolving detail and micro contrast far outweighs comparable range zoom lenses I have such as the well respected Fuji 18-55 on an APS-C body. The sun and light stars make for a spectacular effect and the lens is well resistant to unwanted flare. My only complaint is not really a complaint, but more of a warning to be prepared that the 1/4000 second shutter speed of the G85 is often just not fast enough in bright settings because of how fast this lens is. For that reason you may want to consider an E-M1 mk 2 or GH5 to get the most out of this lens in bright light. I do wish this was at the $1000 price point but it is rather extraordinary for the money when alternatives are considered.